Falvey Memorial Library :: Writing a paper? Check out these helpful resources. Writing a paper? Check out these helpful resources. 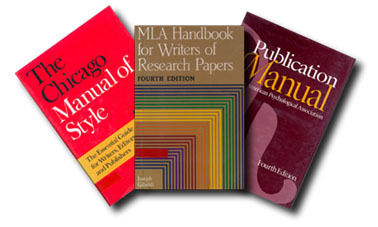 Citation Styles: A Primer with Resources—This topic guide features resources for all the major citation styles. If you’re having trouble collecting and arranging sources, or if you’re interested in the finer details of a certain style, this guide can point you in the right direction. RefWorks Tutorial—RefWorks is a tool which automates some of the work behind citation gathering. Here’s a tutorial detailing how to use this valuable resource—definitely worth checking out if you have a longer research paper. The Writing Center—The Writing Center is located in the Learning Commons on the second floor of the Library. Make an appointment with a member of the very capable staff there as you build or edit your work, and your paper will show for it. Tutors are available to help writers in any field, and with any amount of experience. As always, check out the Library website often for more information. Happy writing!